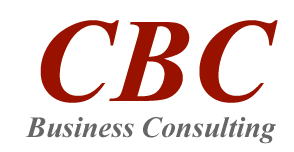 At CBC Business Consulting, we pride ourselves in providing quality support services to our clients in their business development activities in Asia, this includes our Accounting & Payroll service as a long-time Payroll Outsourcing Company in China. For many firms, handling payroll is an onerous task, and maintaining payroll management capabilities is costly even in their own origin countries. When one wishes to set up business in China, the task becomes even more challenging due to the language barriers, legal differences, and the constant need for close attention to changing regulations that inherently comes with managing payroll. It is no wonder that so many businesses choose payroll outsourcing, and here in China we have had the chance to assist our clients in their pursuits by effectively taking on this sensitive roll. Let us make handling and developing business in China simple. We can greater assist your company by complementing our consultation support with payroll outsourcing, managing the laborious management of payroll for you and allowing you to invest your time, energy, and financial resources into core business operations. It is this type of comprehensive support that is the strength of the CBC Group, and what makes us a standout amongst Chinese business consulting firms.